Silas Adekunle is a Nigerian technology entrepreneur known for creating the world’s first intelligent gaming robot. He earned a first class degree in robotics from the University of the West of England. He is the co-founder of Reach Robotics, an augmented reality gaming company that creates robots for gaming and for STEM (Science, Technology, Engineering, and Mathematics) education. Adekunle has partnered with Apple, signing an exclusive distribution deal to sell his product in both the United States and Britain. In November 2018, he was named to the Financial Times’ list of the ‘Top 100 minority ethnic leaders in technology. According to a Forbes interview, the young Adekunle would tinker with amateur robotics, getting ideas from YouTube and dabbling in code before he went on to do programming in C++ at university. Through training and constant refining, Adekunle improved immensely from his teenage experiments, which included (as detailed in the Forbes interview), a robotic hand made out of baked beans cans, and a robotic face (based on the Kismet robot of MIT’s Dr Cynthia Breazeal) that had tennis balls for eyes and rolled-up pieces of paper for ears. 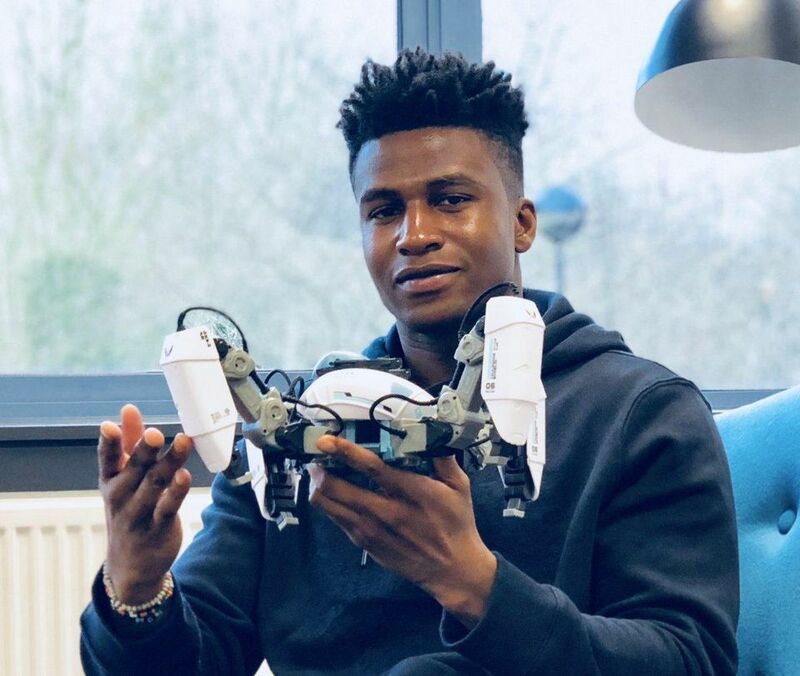 Adekunle hopes that he might be a positive example of what is possible for kids in Nigeria with the same passion for dissecting technology and developing devices that he did at their age; as he has decided to remain a valuable role model that encourages young people to pursue a career in STEM. Adekunle, who has taken over the world with his inventiveness contributions to technology in Africa is an inspiration as he is our Youth of the Week!